The Supreme Court recently landed a blow against organized labor when it ruled that public sector workers cannot be forced to pay public sector union fees. This decision, handed down in a 5-4 vote in the Janus v. AFSCME 1 case, might be the most significant one to impact collective bargaining rights in the U.S. in decades. It overturned a precedent set when the court approved “fair share fees” in the 1977 case Abood v. Detroit Board of Education. These fees were meant to cover collective bargaining costs, such as contract negotiations, which benefit both union and nonunion employees. However, this time the Supreme Court sided with petitioner Mark Janus who argued that being compelled to pay union dues was in violation of his First Amendment rights. A deeper understanding of the impact of the court’s decision – how it reflects changing attitudes toward labor unions and the role of unions in protecting workers’ rights – emerges when examined from a historical context. Primary source documents, including speeches, pamphlets and letters from several generations of labor activists and organizers illuminate the historical significance of unions and the evolution of organized labor and labor law in the U.S. Invaluable primary source documents related to some of the earliest and most influential labor unions in the U.S. are digitally accessible to researchers as the result of a partnership between ProQuest and the Catholic University of America (CUA). This collection includes original papers from trail-blazing labor leaders of the Gilded Age and Progressive Era, which have been housed at CUA since the 1940s and were previously only available to researchers who traveled to the Washington D.C. campus. Researchers around the world can now easily discover them online in the ProQuest History Vault module Labor Unions in the U.S., 1862-1974: Knights of Labor, AFL, CIO, and AFL-CIO. Among these documents are early pamphlets published by the American Federation of Labor (AFL) which illuminate the exploitation and deplorable working conditions that spurred laborers to organize, and the rhetoric labor organizers used to urge workers to join unions. Some of the most intriguing examples of this material include a booklet calling for an eight-hour work day2; and another, perhaps most relevant to the recent Supreme Court decision, that ponders whether “a non-unionist [has] the moral right to work ‘how, when, and where he pleases?’”3 – even if it’s to the detriment of other workers. The Knights of Labor was the first union that strove to appeal to all workers throughout the country, including women and African Americans, in an attempt to unify industrial and agrarian workers – reaching a peak membership of nearly one million in 1886. Other documents in this collection trace the evolution of organized labor as members of one Knights of Labor local assembly joined up in 1890 with members of the National Progressive Miners Union to form the United Mine Workers of America (UMWA). 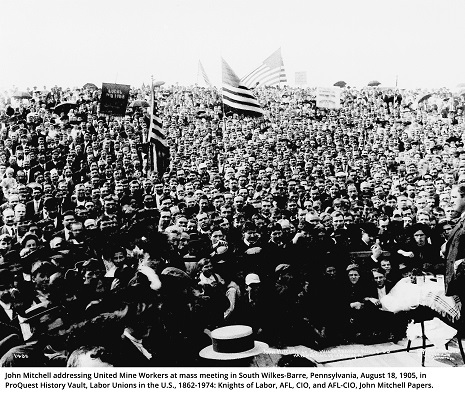 Leaders from the UMWA went on to establish the Congress of Industrial Organization (CIO), a nexus of labor activism from 1935 to 1955, during an era of bitter partisan conflict that rippled throughout the entire nation. This content also follows the history of the AFL, from its founding convention in 1886 where five men were elected men to lead fewer than two hundred thousand members, to sixty-nine years later as the organization’s seventeen vice presidents, a secretary treasurer, and President George Meany gathered to discuss whether the proposed constitution for a unified AFL-CIO satisfied the needs of the federation’s nine-million members. The AFL had gone from small, struggling organization with slim chances of survival to a hugely influential and well-funded political lobbyist group. (Also of note: the American Federation of State, County and Municipal Employees – AFSCME, the union challenged by Janus in the Supreme Court case – is part of the AFL-CIO). Why are these documents of value for students and researchers? We asked Shepherd and his colleague Maria Mazzenga, also a historian as well as longtime education archivist at CUA, about the advantages in making these primary source documents from the CUA archives available from History Vault. “These are crucial collections for any understanding of American labor history, with major relevance in 2018,” Shepherd said. Not only does this content provide historical context for the Supreme Court’s decision on Janus v. AFSCME, but also in relation to ongoing issues with international trade such as the tariffs imposed on steel and aluminum imports from Europe, Canada and Mexico. Learn how using ProQuest History Vault for legal studies can deepen research. Read the full description of the ProQuest History Vault module Labor Unions in the U.S., 1862-1974: Knights of Labor, AFL, CIO, and AFL-CIO. Sign up for a complimentary trial of ProQuest History Vault and related resources. Check out additional resources related to the labor movement and the Progressive Era. Feldacker, B. S., & Hayes, M. J. (2014). Labor Guide to Labor Law. Fletcher, B. J., & Gapasin, F. (2009). Solidarity Divided: The Crisis in Organized Labor and a New Path Toward Social Justice. Getman, J. G. (2016). The Supreme Court on Unions: Why Labor Law is Failing American Workers. Phelan, C. (2000). Grand Master Workman: Terence Powderly and the Knights of Labor. Rayback, J. G. (1966). History of American Labor. Janus v. American Federation of State, County, and Municipal Employees, Council 31(16-14660: Supreme Court Case History. Available from Supreme Court Insight. George Mc. Neill. The Eight Hour Primer. Washington: Allied Printing, 1889. Folder: 201706-054-0807. Available from History Vault: Labor Unions in the U.S., 1862-1974: Knights of Labor, AFL, CIO and AFL-CIO. American Federation of Labor pamphlets. Folder: 000983-001-0202. Available from History Vault: Labor Unions in the U.S., 1862-1974: Knights of Labor, AFL, CIO and AFL-CIO. 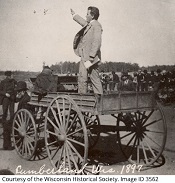 Three of the collections in this module come from the holdings of Catholic University: Papers of Terence V. Powderly and John W. Hayes, focusing on the Knights of Labor, and Papers of John Mitchell, focusing on the United Mine Workers and the AFL. 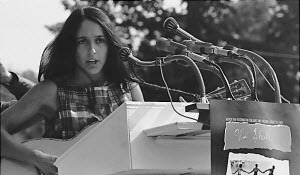 American Federation of Labor Pamphlets and the other collections in this module come from the holdings of the AFL-CIO, the University of Maryland, and the Wisconsin Historical Society. “These are crucial collections for any understanding of American labor history, with major relevance in 2018,” Shepherd said. Not only does this content provide historical context for the Supreme Court’s decision on Janus v. AFSCME, but also in relation to on-going issues with international trade such as the tariffs imposed on steel and aluminum imports from Europe, Canada and Mexico. 1. Janus v. American Federation of State, County, and Municipal Employees, Council 31(16-14660: Supreme Court Case History. Available from Supreme Court Insight. 2. George Mc. Neill. The Eight Hour Primer. Washington: Allied Printing, 1889. Folder: 201706-054-0807. Available from History Vault: Labor Unions in the U.S., 1862-1974: Knights of Labor, AFL, CIO and AFL-CIO. 3. American Federation of Labor pamphlets. Folder: 000983-001-0202. Available from History Vault: Labor Unions in the U.S., 1862-1974: Knights of Labor, AFL, CIO and AFL-CIO.